How Far is The Five Summits? Luxury now has a new address. 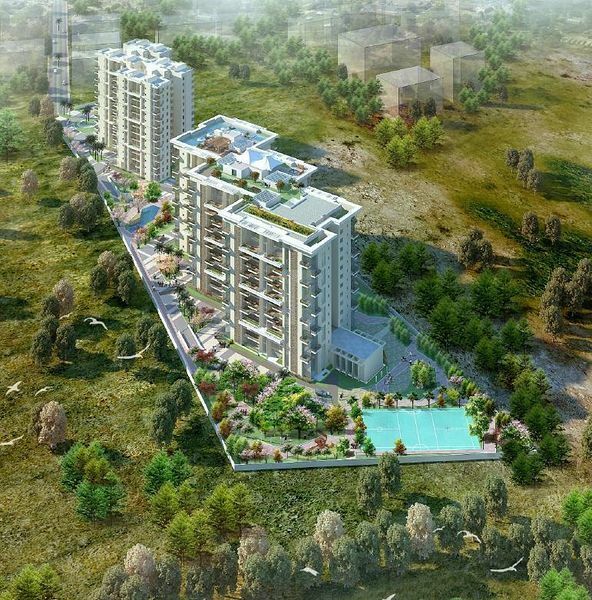 The Five Summit Address at Whitefield offers 216 units of condos, duplexes and penthouses. Each of these living spaces is filled to the brim with features that imbibe the charm of a fine lifestyle. See life from a new perspective, from the double-height cantilevered extended decks, a 28,000 sq.ft. clubhouse on the terrace and an infinity edge swimming pool, which is a testament to a kind of living that is both, lavish and luxurious. RCC framed structure (designed for seismic zone II), with solid block masonry walls. Main Door: Polished teak wood frame with a BST door shutter that has an 8 ftheight. Other Internal Doors: Hardwood frame with flush shutters that are of 7 ftheight and SS hardware. Toilet Door: Hardwood frame with a commercial molded shutter with enamel paint that has an 7 ftheight and SS hardware. Balcony Door: Aluminum doors with a provision for mosquito mesh shutter. Windows: Aluminum windows with 5mm thick clear plain glass. Living & Dining: Imported marble. Kitchen & All Bedrooms: Vitrified tiles. Balconies,Toilets & Utility: Anti-skid ceramic tiles. Common Lobbies & Corridors:Vitrified tiles orgranite. Staircases- Main Entry Level: Granite. Pool Deck & Cafeteria: External wood. Provision for hot and cold watermixer for the kitchen sink. European water closet of Jaquar make (or an equivalent)in all toilets. Washbasin o fJaquar or an equivalent make in all toilets. Single lever diverter of Jaquar or equivalent make in all the toilets. Health faucet in all toilets–Jaquar or equivalent make. Concealed master control ball valve in each toilet from the inside for easier maintenance. Internal Walls: Acrylic emulsion paint. 3 BHK Flat: 5 KW KPTCL supply & 5KW DG backup. 4 BHK Flat: 6 KW KPTCL supply & 5KW DG backup. 4 BHK Penthouse:8 KW KPTCL supply & 5KW DG backup. 100% DG backup for lifts, pumps & common area lighting. AC Points: Conduits with wiring,socket and a controlswitch for the master bed room,living and dining rooms.Other bedrooms to have conduits without wiring. TV and Telephone Point:Conduits with wiring,socket and control switch for the living room and master bedroom. Intercom facility for each flat with video door phones.